The Miniature Bull Riding Association has sponsorships available. Please contact us to find out how you can become a sponsors for these young bullriders. 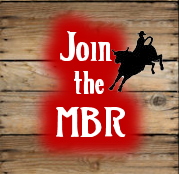 Do you want info on how to become a sponsor for MBR?